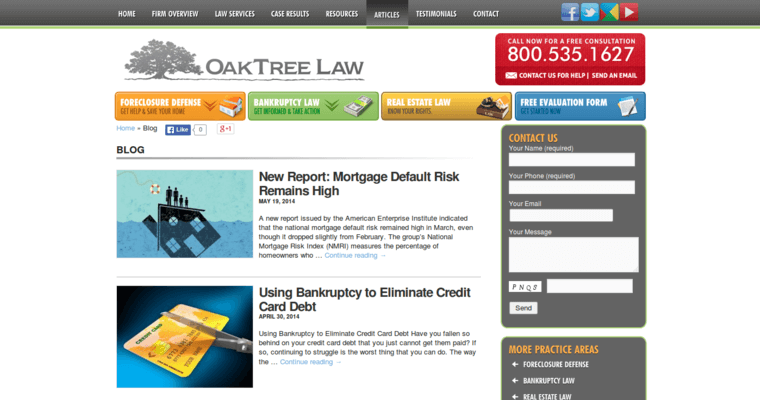 Oak Tree Law specializes in helping homeowners and small-business owners in the Los Angeles area get help with their finances, including filing for bankruptcy if that is necessary. A bankruptcy filing is a complicated process, and it can be even more so if you have significant assets, such as a home or a business. 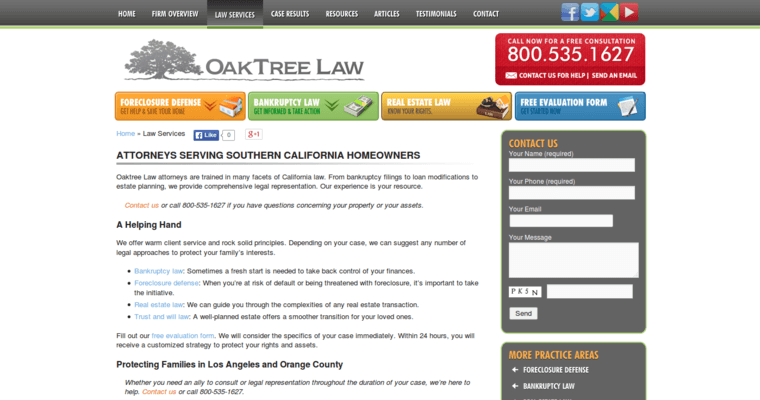 The attorneys at Oak Tree Law can help you find the solution that is right for you. Chapter 7 bankruptcy allows you to wipe out most debts and get a fresh start while Chapter 13 allows you to reorganize to get more favorable payments. If you own your own business, a Chapter 11 reorganization may be the right move for you. 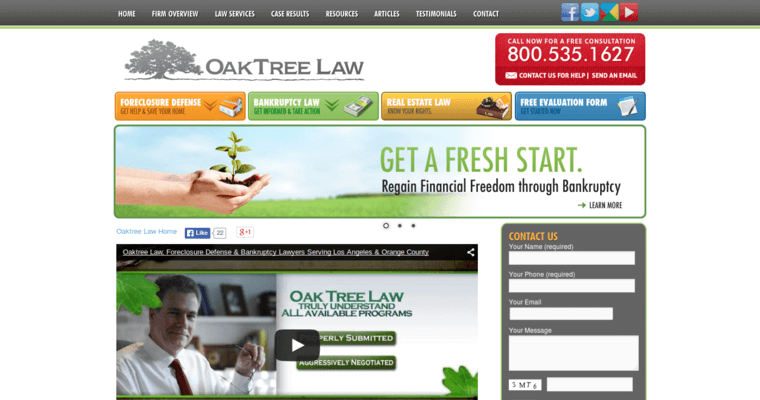 To find out your options when it comes to bankruptcy, call Oak Tree Law today to set up a free consultation to discuss your case with one of the firm's experienced attorneys.